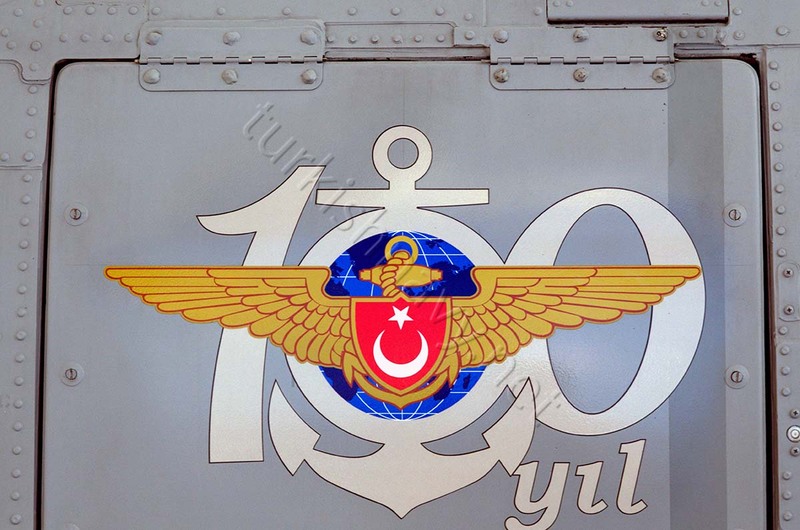 “One Century In Two Blue” is the motto for the celebrations of the Centennial of Turkish Naval Aviation. 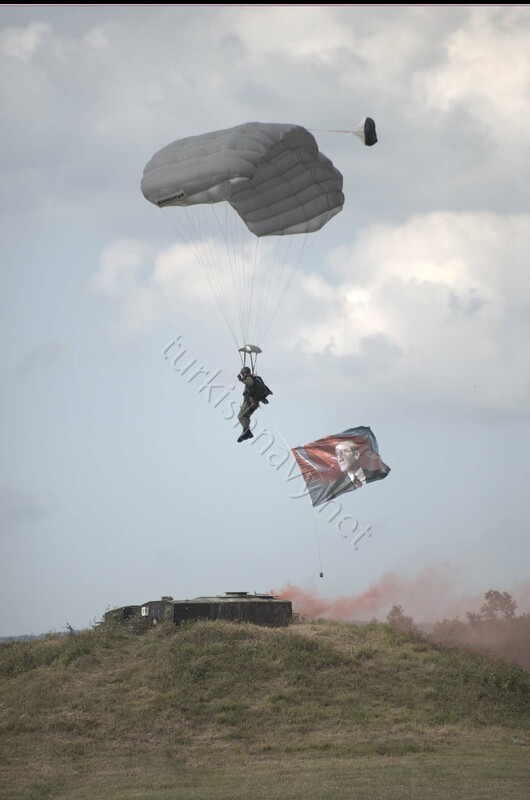 Cengiz Topel Naval Air Base in Izmit, Kocaeli was open to the public on 22 June 2014 for the celebrations. 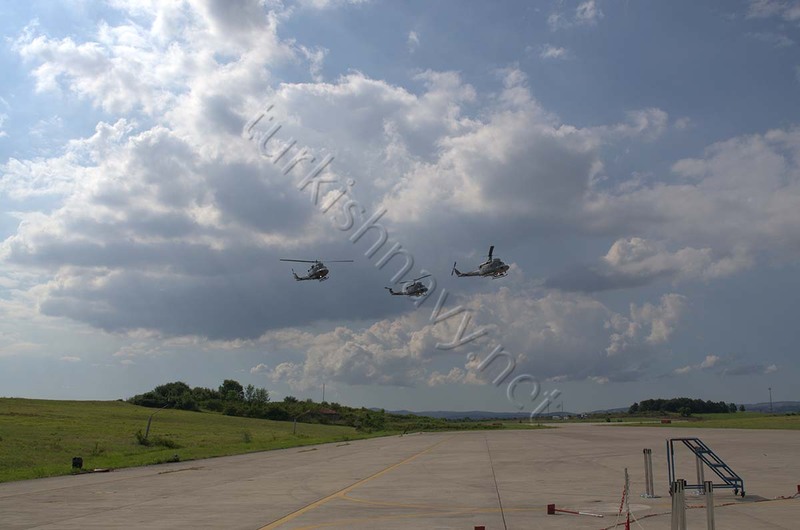 One ATR-72 MTU, one CN-235 ASW, one TB-20 Trinidad planes and one SH-60 Seahawk ASW, one AB-212 ASuW helicopters from Turkish Navy and one CN-235 MPA plane and one AB-412 EP helicopter were on static display. 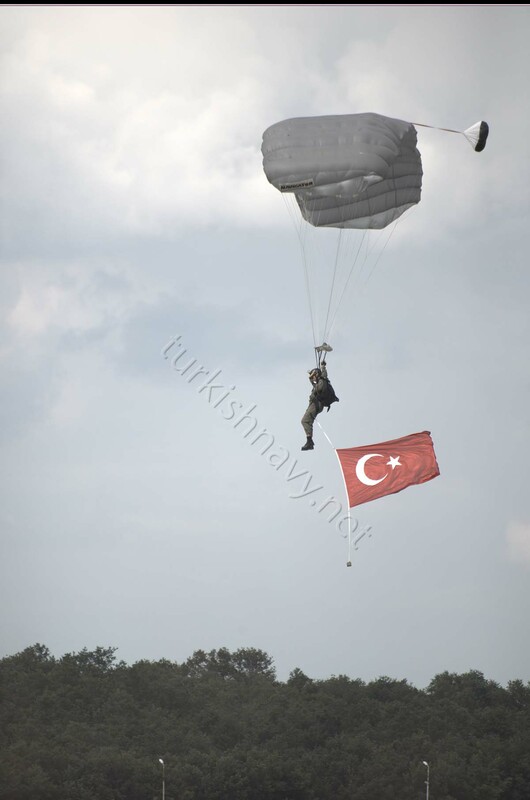 There was also one simulated rescue operation with Turkish Naval Special Forces teams. One team fast roped from the one SH-60 Seahawk, while the other team jumped with parachutes from a high flying helicopter. One ATR-72 MTU, 3 CN-235 ASW, 3 TB-20 Trinidad planes and 3 SH-60 Seahawk and 3 AB-212 ASW/ASuW helicopters performed an impressive flyover. 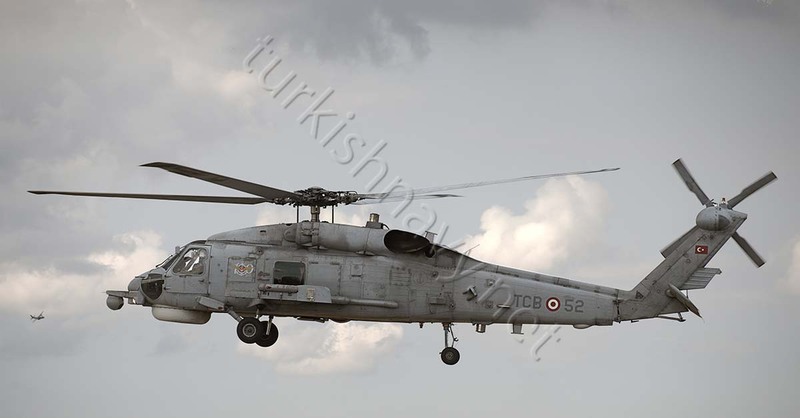 Turkish Navy has 24 Sehawk, 11 AB-212 helicopters and 6 CN-235 ASW planes in its inventory. 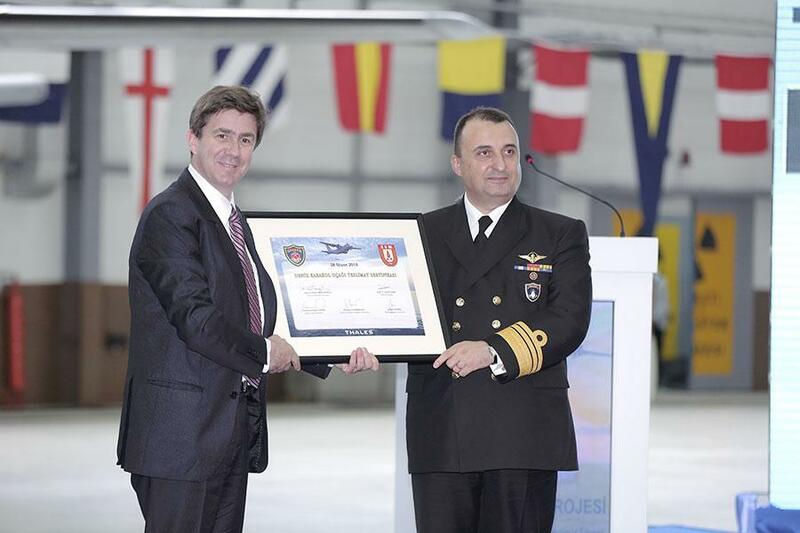 Thales delivers 5 planes and a certificate. Photo: Thales. 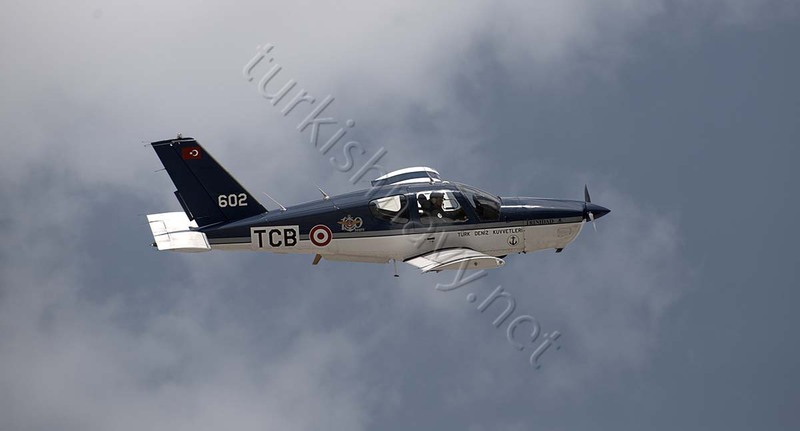 16 years after the maritime patrol plane project has started and 12 years after Thales was contracted to deliver the AMASCOS, the five out of total six aircraft of the Meltem project were finally handed over to the Turkish Navy on 29 April 2014. I am quite sure that Thales and their Turkish partners have developed strong relationship in the last 12 years when they were working to get the things done. They had all the time in the world for building strong relationships. 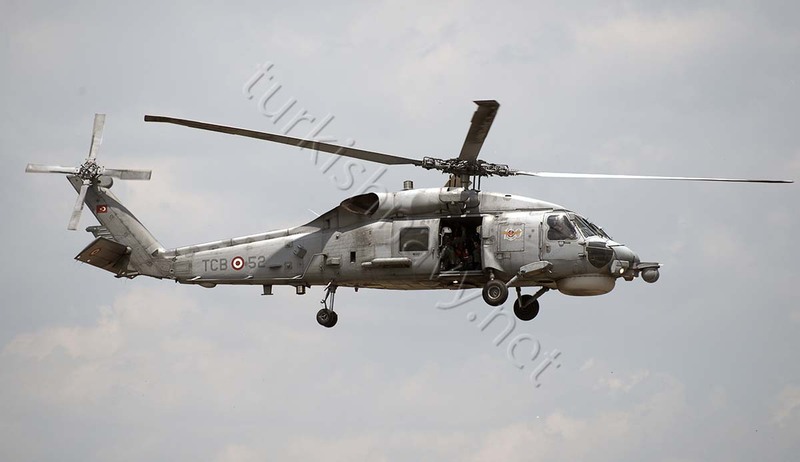 When the Meltem project started, this and this aircrafts were not even on drawing boards. Since then they have taken off are operational. 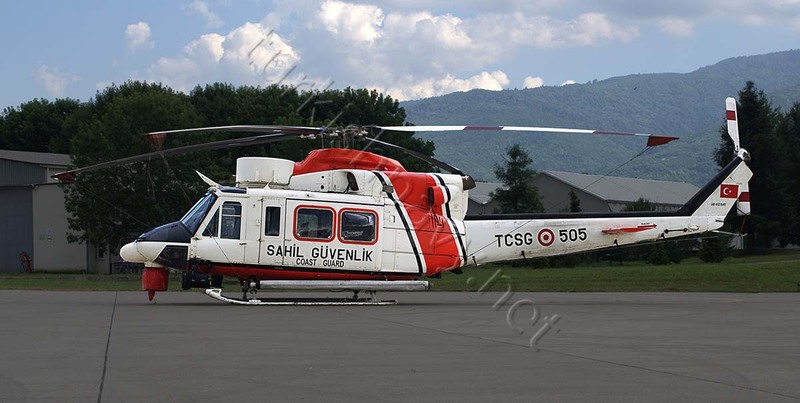 Meltem I: The purchase of three CN-235′s for Exclusive Economic Zone surveillance missions by the Turkish Coast Guard and six CN-235′s in AsuW and ASW missions for Turkish Navy. This part of the project started in 1998 and ended in 2002. 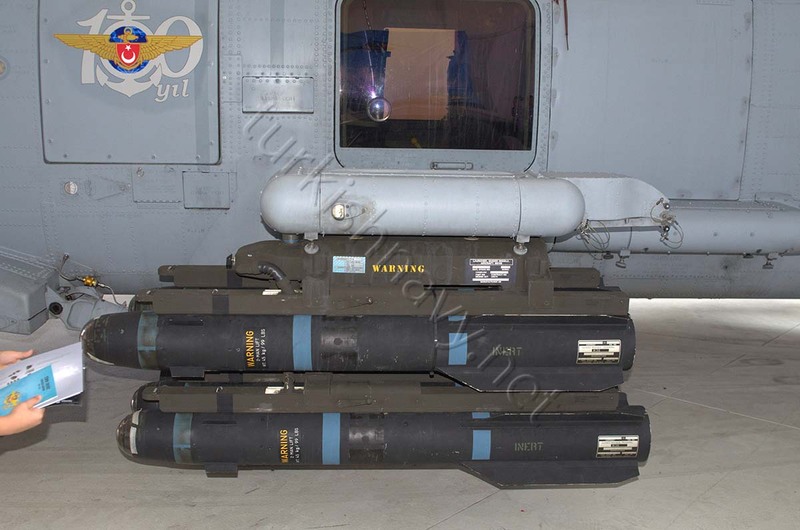 Meltem II: The integration of AMASCOS (Airborne MAritime Situation & Control System) and its sub components on the above mentioned planes. 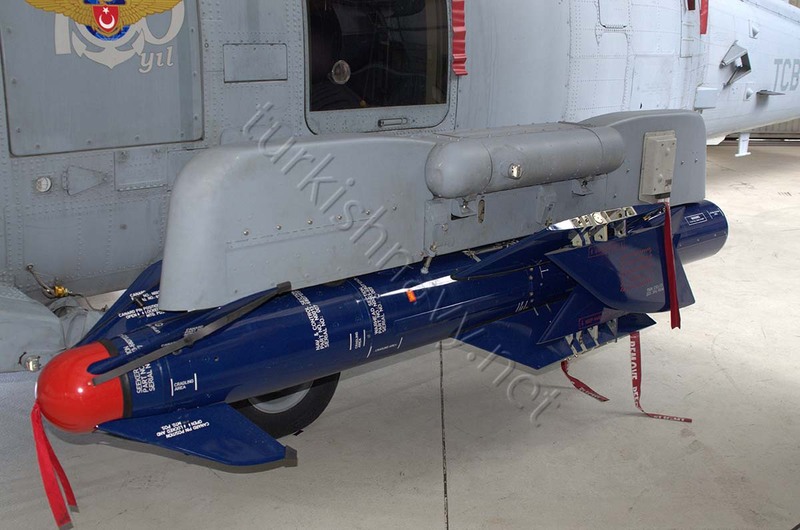 The Thales made AMASCOS was selected as the main C3I system for the above mentioned CN-235 planes back in 2002. 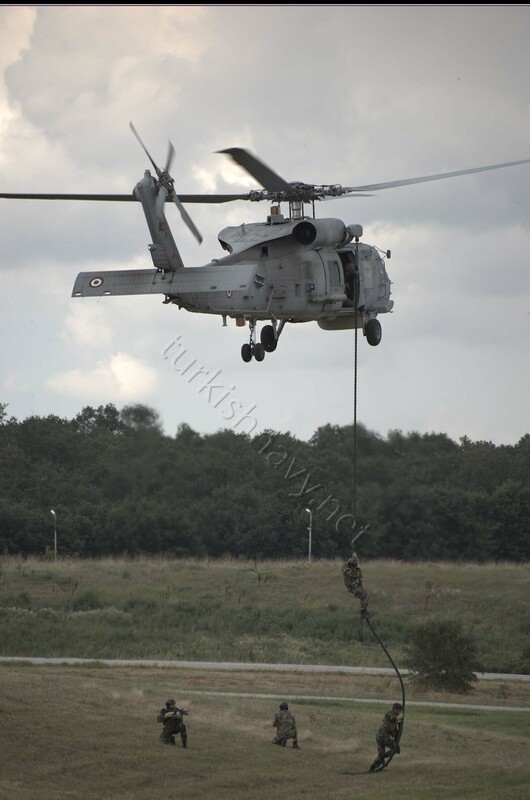 Thales acts as the main contractor and Turkish companies TAI, Havelsan, Aselsan and Milsoft are acting as sub contractors. According to the contract the planes were to be in service in 2007. 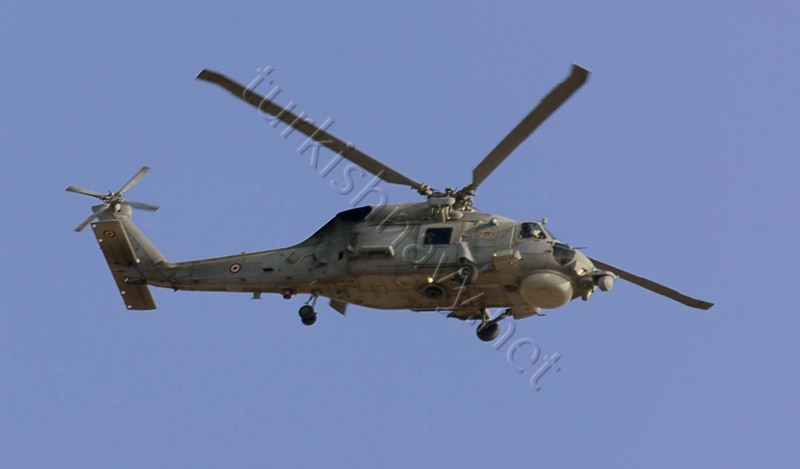 But the first modified plane made its maiden flight one year after the contractual delivery date. 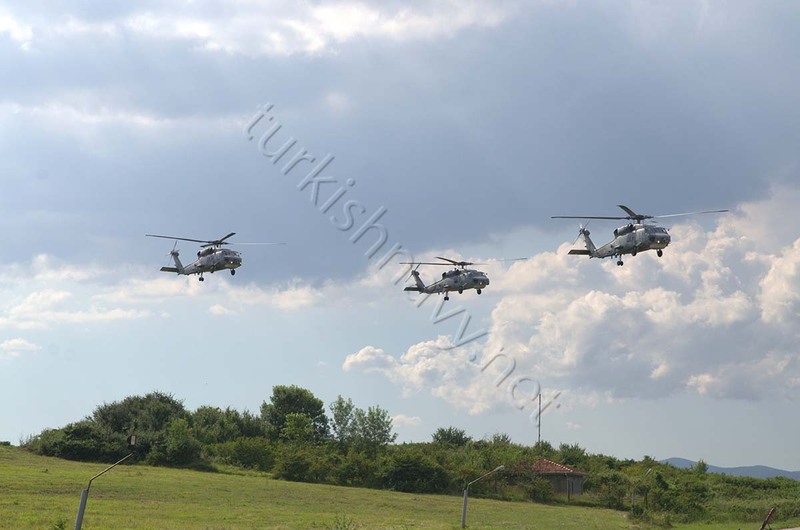 The aircraft started to enter into contemporary commission only in 2012 both in Turkish Navy and Turkish Coast Guard. And in 2013 the planes for the Coast Guard were officially commissioned. Yesterday’s ceremony means that this phase is almost ended. Meltem III: When in 2008 the contract was signed for Meltem (III), Aleina was supposed to to deliver ATR-72 ASW planes and integrate the AMASCOS system and the sensors to them. 6 years later all we got are two ATR-72 TMU maritime utility aircraft and a reduction on total number of planes from 10 to 8 including the TMUA’s. The utility planes are by the way unarmed and have no sensors. So they are no good for hunting submarines. I have told in then, I and I am telling it now, the Meltem acquisition project should be thought in business and project management courses as a case study as an example how not to run a project. The first ATR-72-600 maritime utility aircraft for Turkish Navy at Alenia-Aermacchi factory in Italy. 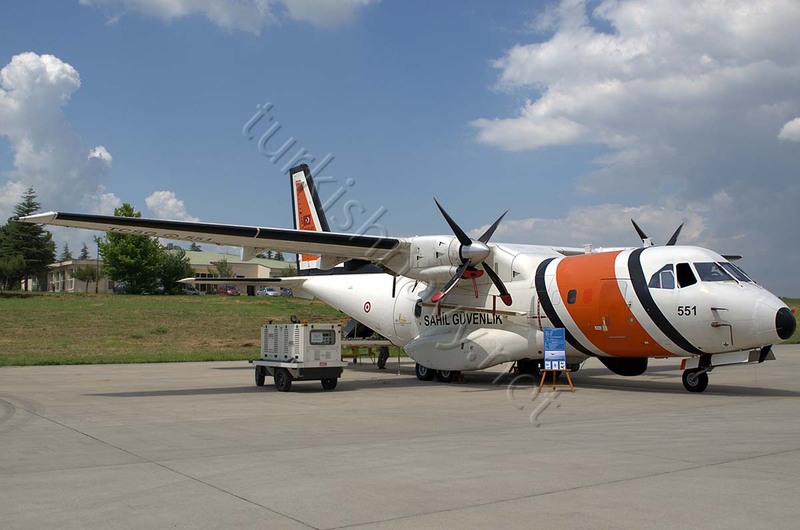 The Turkish Navy has received the first ATR 72-600 Turkish maritime utility aircraft (TMUA) from Alenia Aermacchi on 25 July 2013. Maritime Utility Aircraft is a very elegant expression and means that the aircraft has neither weapons nor any sensors. 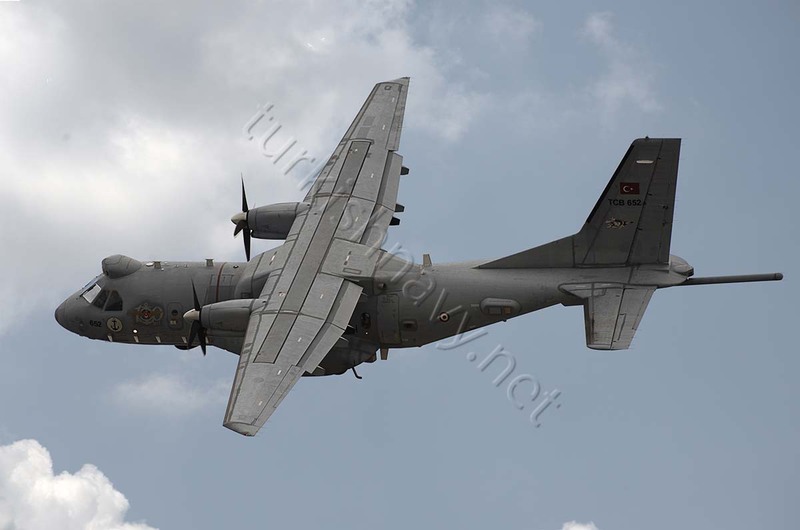 Alenia Aermacchi was awarded the contract to deliver two ATR 72-600 TMUA and six ATR 72-600 turkish maritime patrol aircraft (TMPA) to the Turkish Navy. 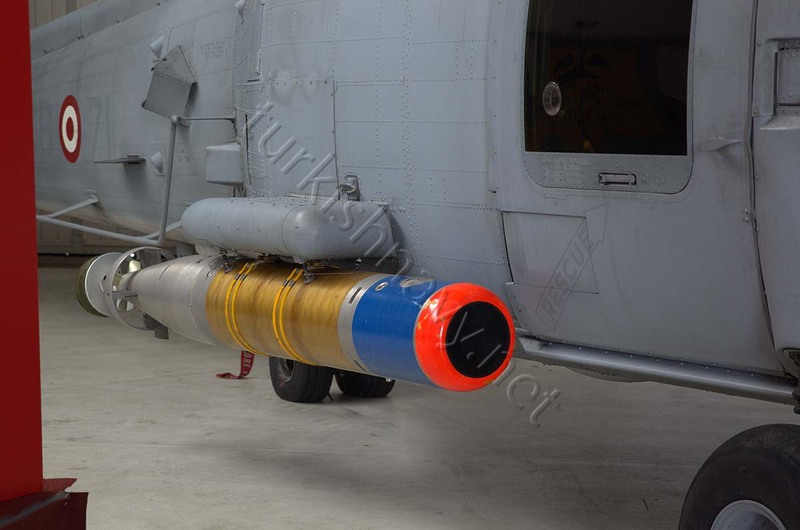 Under the contract, the company will supply the first TMPA to the Turkish Navy in February 2017 while deliveries are scheduled to be completed by 2018. 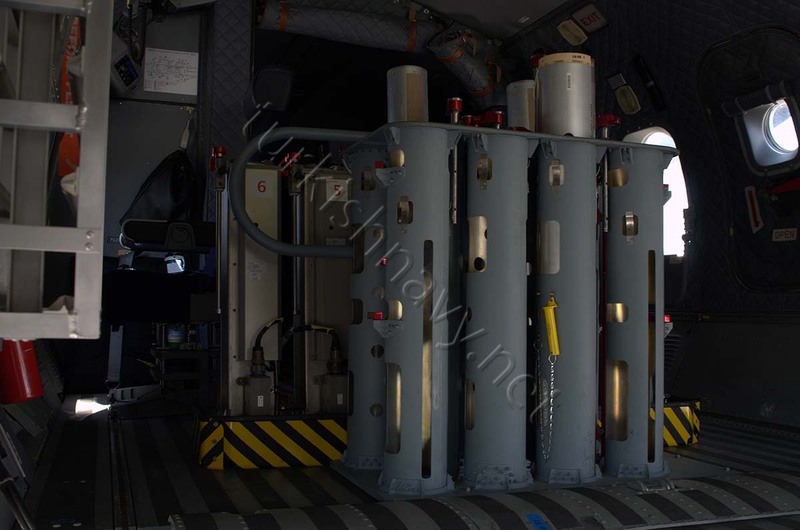 The two ATR 72-600 TMUA, which are undergoing modification at the company’s facilities in Naples, Capodichino and Torino-Caselle, will be used by the Turkish Navy for utility roles and personnel and cargo transport missions. 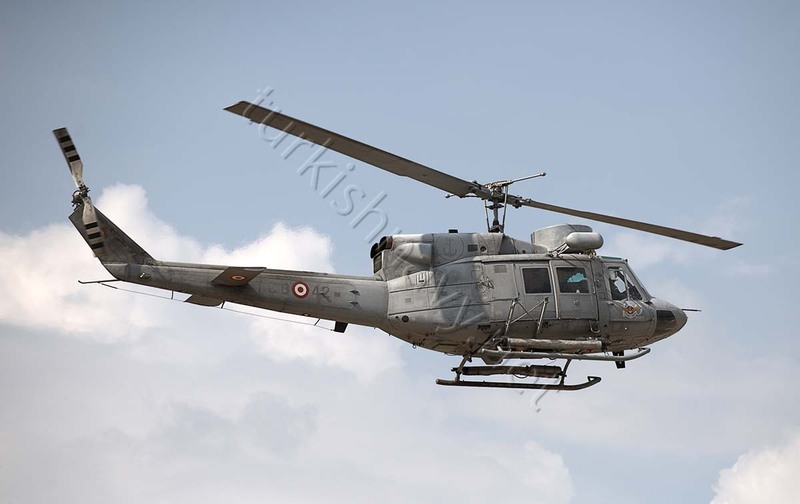 Fitted with new radios, the TMUA aircraft features an identification friend-or-foe system (IFF) as well as tactical tables and communications equipment for the crew. 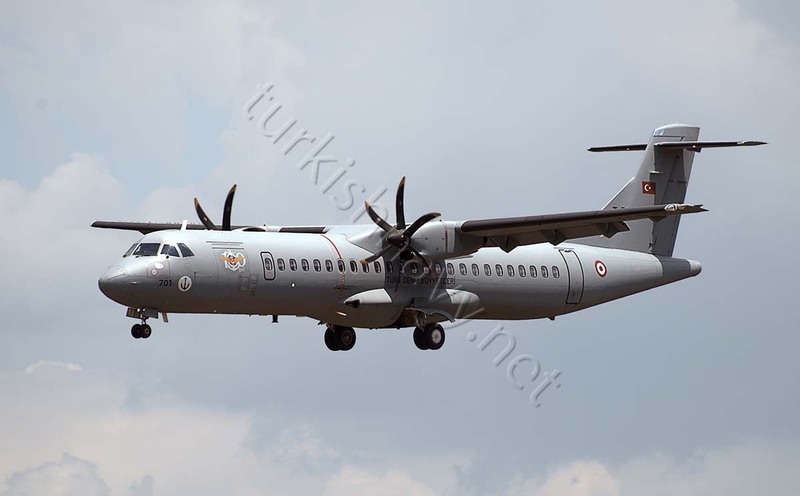 The Turkish aerospace industry will modify the six green ATR72-600 aircraft to ATR 72-600 TMPAs in Ankara, Turkey, by installing specific equipment to meet the Turkish Navy maritime patrol requirement. Fitted with Thales airborne maritime situation and control system (AMASCOS) mission system, the six ATR 72-600 TMPA multi-role assets will be equipped with automatic identification system (AIS) and link 16 and will also support the latest generation weapon systems such as the Mk 54 light weight torpedo. The second ATR72-600 TMUA is expected to be delivered within the first half of August while first Turkish Navy flying instructors have completed the new aircraft training at Alenia Aermacchi’s Training Centre in Caselle. The above text is form the press release of the Italian company. Well originally they were contracted in 8 years ago (in July 2005) to deliver 10 ATR 72-500 airplanes which should have the necessary sensors and weapons to conduct anti submarine warfare. After 8 years of delays what we have is an unarmed plane for utility work instead of hunting submarines. In May 2013 the original contract was amended from 10 ATR 72-500 ASW planes to 2 ATR-72 600 TMUA and 6 ATR-72 600 TMPA planes. 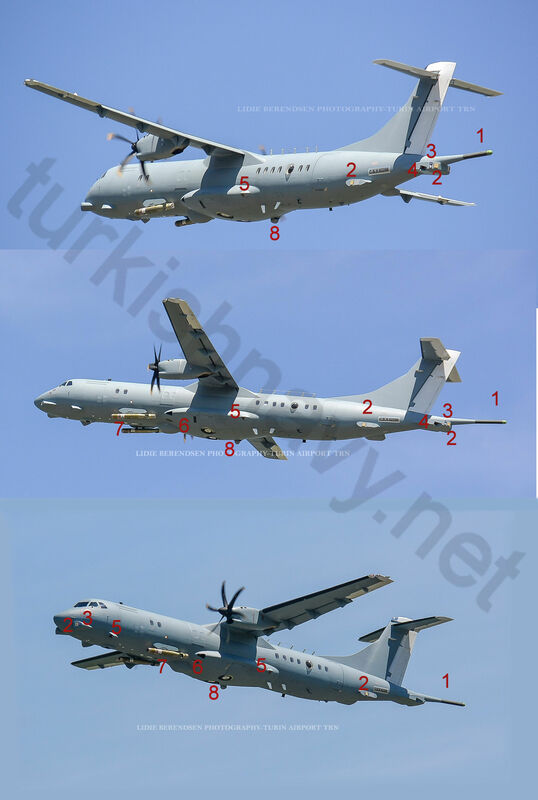 Turkish Navy To Get 8 ATR-72-600 Planes Instead Of 10 As Originaly Agreed. The heavy edited announcement from the Italian aircraft maker Aleina Aermacchi made it sound so nice, it was too good to be true. 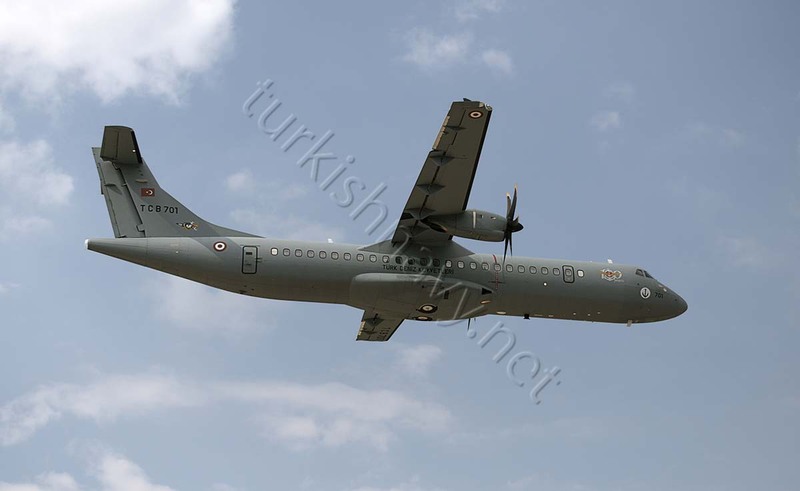 Alenia Aermacchi has signed an agreement with Savunma Sanayii Müsteşarlığı (SSM), the Turkish Undersecretariat for Defence Industries to deliver two ATR 72-600 TMUA (Turkish Maritime Utility Aircraft) and six ATR 72-600 TMPA (Turkish Maritime Patrol Aircraft) to the Turkish Navy. The contract calls for strong industrial collaboration between Alenia Aermacchi and Turkish Aerospace Industry (TAI) for the duration of the project. But the magic lasted only one paragraph. The agreement is an amendment to a previous deal between Alenia and the Turkish government for the delivery of 10 ATR 72-500 ASW to the Turkish Navy.The most important change into the contract amendment is the adoption of the new -600 version of the ATR 72, the best in class of regional Turboprop. The original contract was based on the now out of production ATR 72-500. I think the whole Meltem acquisition project should be thought in business and project management courses as a case study as an example how not to run a project. 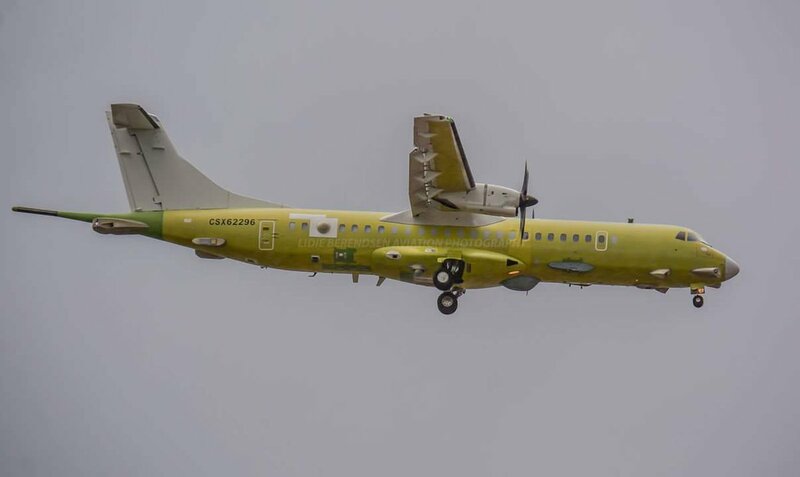 When the Project started in 1998, CASA was still an independent company; the C-295 has just made its maiden flight and its ASW version did not exist even in the dreams of the CASA/EADS/Airbus Military engineers. After 16 years we still do not have any fully operational ASW planes for our navy. And it gets only worse. 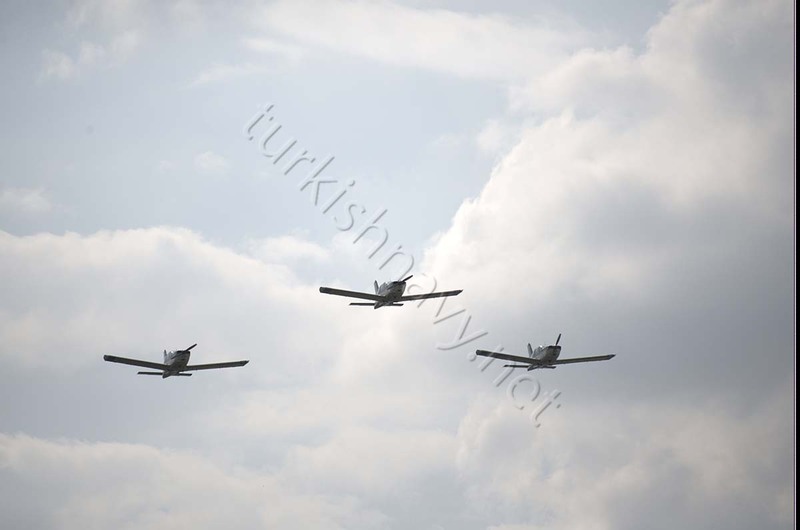 Last week the Alenia announced that they were going to delivery 8 new planes to Turkish Navy. 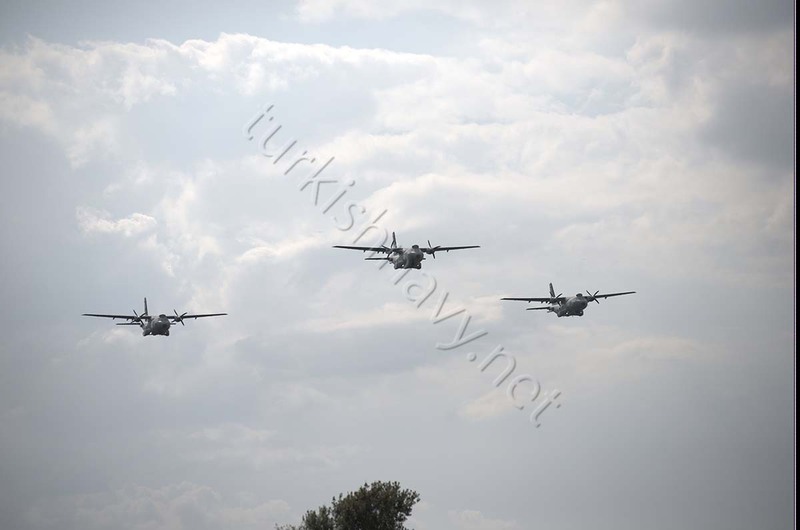 This is actually BS as two of the planes will be two ATR 72-600 TMUA (Turkish Maritime Utility Aircraft) which means in plain English that these planes will carry neither weapons nor any sensors. They will be used cargo planes. Thanks to the agreement, the Turkish Navy will obtain the last generation ATR72-600 equipped with a glass cockpit as well as more powerful engines that guarantee best performance and supportability for the next 30 years. 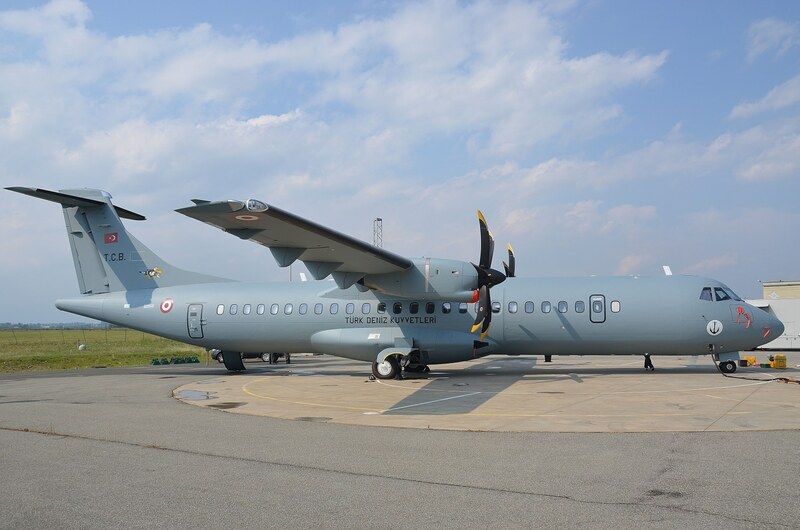 The two ATR 72-600TMUA–already in the modification phase at Alenia Aermacchi’s plant in Naples-Capodichino–will be used by the Turkish Navy for personnel and cargo transport and will be delivered in June and July 2013 . 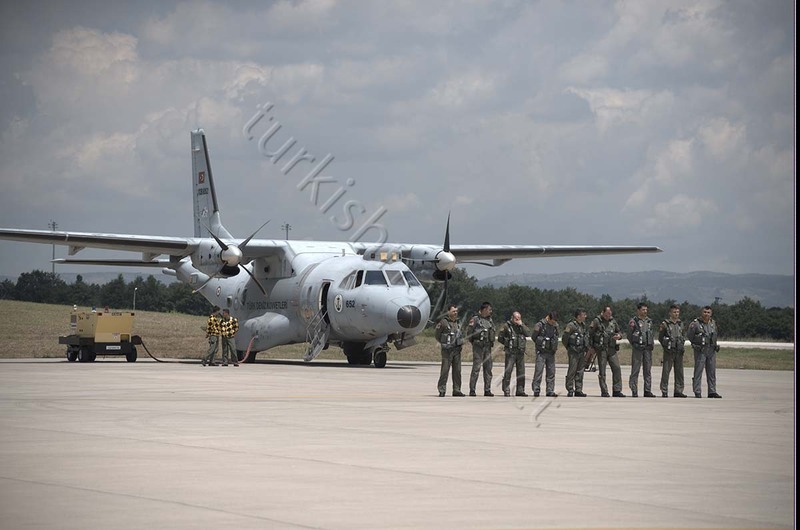 In July 2005 a contract was signed to procure 10 ATR-72-500 planes for ASW missions, to be used by Turkish Navy after the first part of the program involving the CN-235 planes was stuck. 8 years later, the Italians realized that they cannot deliver the 10 planes to according to the deal done in the contract so they had to renegotiate the whole deal. Now we get 2 planes less but a newer version of the ATR-72 plane as production of the -500 variant is discontinued in the mean time. As the newer -600 version has improved engines it is believed that the performance of the -600 will be superior to the old -500 version. But this fact has to be proven first. I must give my respects to the PR people of the SSM and Alenia as they deserved it by making a good news from the rotten state of the whole Meltem Project; that is some spin doctoring.